Stafford, VA. A suspect was arrested on Wednesday night by deputies with the Stafford County Sheriff’s Office after crashing her vehicle into a drainage pond shortly after a hit and run in the southern end of the county. On February 6, 2019, at approximately 6:04 p.m., Deputy Myers responded to a reported hit and run in the area of 175 Warrenton Road. He made contact with the victim who advised that her vehicle was struck by an unknown vehicle while she was waiting at the traffic light at Lendall Lane to turn onto Warrenton Road. She said the suspect vehicle made a wide turn onto Lendall Lane, striking the front of her vehicle. Shortly after Deputy Myers started canvassing the area, a female subject attempted to flag him down on the 400 block of Lendall Lane. He noticed she was wet, muddy, and not wearing any shoes. The deputy stopped and exited his vehicle. As he made his way toward the female subject, she tried to get into the passenger side of the deputy’s vehicle. He told her to stop and she said she needed to go home. At that point, the deputy noticed that the subject appeared extremely intoxicated. She smelled strongly of an alcoholic beverage and was unsteady on her feet. Her eyes were also bloodshot and glassy. 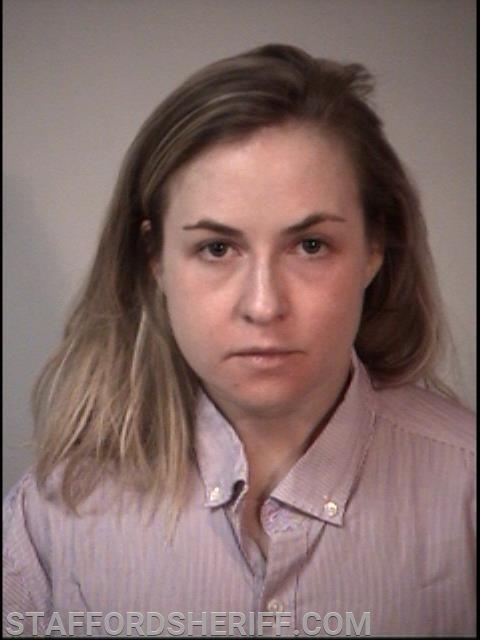 She was identified as Jenna Briganti, 37, of Spotsylvania. The subject then showed the deputy that her vehicle was in a drainage pond at the bottom of an embankment. She told the deputy she crashed the vehicle into the pond and then swam to shore. When the vehicle was extracted from the pond, the deputy observed damage to the front driver’s side corner of the bumper. Field sobriety tests were subsequently conducted. Briganti was taken into custody for driving under the influence and hit and run. She was incarcerated at Rappahannock Regional Jail.